This industry has been gaining more and more popularity in recent times. According to the 2017 report done by the US Census Bureau, the eCommerce sales has boosted up to $105 billion in the first quarter of this year. Thus it shows around a 15% increase compared to the same period of 2016. So the B2B eCommerce is evolving as more manufacturers, distributors and B2B customers enter this ground. New eCommerce trends have emerged so far that will affect the upcoming 2018 business interaction. Moreover, there has appeared an urgent demand for building specific B2B-oriented eCommerce portals. In this article we will try to get a picture of today’s eCommerce B2B landscape. What is an eCommerce portal? 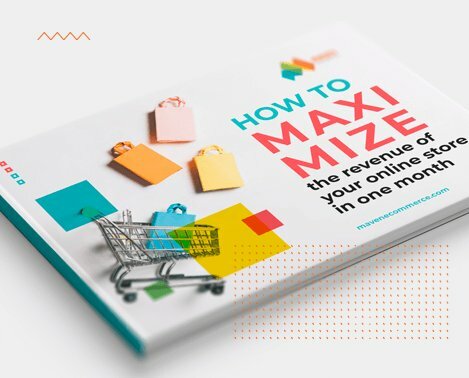 An eCommerce portal is a perfect opportunity for customers all over the world to make all the purchases they need from one and the same place. Such an eCommerce hub also enables sellers to promote their wholesale businesses online. These portals are much more than mere websites, as they have a wider range of functionality, necessary to cater for both merchants’ and their customers’ needs. Let’s have a closer look to what you will start with when deciding to make your own eCommerce project. The main aim for every eCommerce portal is to gather data concerning various products and services with a strong regard to customers’ demands and to keep it in one place. Customers, in this case, have a better chance to find what they need accessing only one web portal. No more useless surfing the Internet when multiple manufacturers and suppliers are diverse and scattered on different web sources. These portals provide customers with more amount of useful data and have a greater spectrum of functions. How it works? An eCommerce portal collects all the information about definite products or services, including their prices, terms and whereabouts and then offers to its users in a single comfortable manner. One of the best examples of eCommerce portals is Amazon. Last year it reached around 136 billion dollars in net sales. Being a leader in B2C eCommerce it is of great interest for B2B market players as Amazon demonstrates a full scope of eCommerce options that can be applied to wholesale businesses. How Amazon is designed? It is a unified online center that enables customers and manufacturers to make transactions of certain products and services from one spot. This idea works for both B2C and B2B eCommerce portals – merchants can showcase their goods in a vivid and efficient manner and buyers can easily perform their purchases within one online store. What is the difference between business-to-consumer and business-to-business eCommerce models? As it can be found from their very names, these two types are developed to satisfy different audiences. While B2C portals are aimed at catering for individuals’ requests, B2B eCommerce portals maintain the exchange process of goods and services between businesses. Such a B2B-specified platform allows companies to sell and buy from each other online and through a single place. One of the successful B2B eCommerce portals is by all means Alibaba.com. 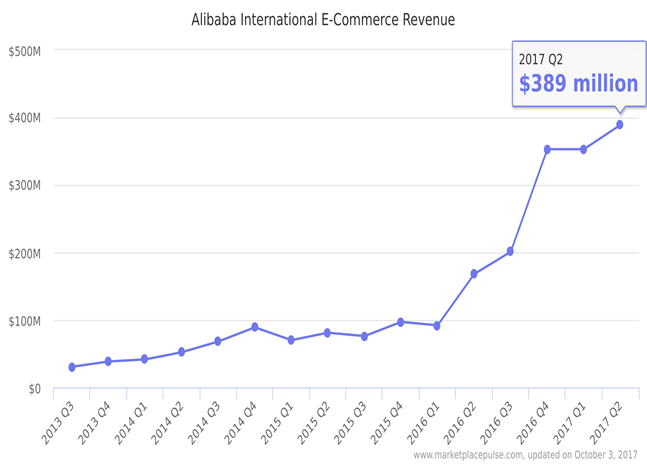 It is a part of a huge Alibaba Group, that is reported in the quarter ended December 31, 2016 to have revenue of RMB53,248 million (US$7,669 million), with a robust increase of 54% year-over-year. Using this portal manufacturers and suppliers are allowed to list their products and services so that the other companies can order these supplies according to their current needs. It is more than important to pick a relevant eCommerce platform for your business. This is a vital choice for all those who want to succeed doing business online. What should you look at when singling out the right portal to comply with your business interests? There are some aspects you need to consider. The first thing to think about is the technological level of your would-be eCommerce portal. You definitely don’t want your customers see something that is behind the times. Your brand must look professional online to attract big-time customers. The high-end eCommerce solution should also be quite flexible to let you customize it regarding your own business goals. A preferred eCommerce portal must have a responsive design to show adequately on multiple devices and gadgets. It also has to support various channels and be accessible via social media. A good eCommerce portal makes out of your website a perfect marketplace. You can easily do all your business operations with a one single tool set. What exactly are you allowed to perform? With the right portal you can get an effective instrument of keeping customer information, managing and tracking your orders and optimizing all your inventory data. Don’t forget about the price of your future eCommerce project, since efficient digital solutions are rarely be free of charge. To sum up all the useful features a B2B eCommerce portal can give to your online business, let’s break down some major benefits. Customized approach. Why not to make your web store look exactly as you want it? A flexible user interface enables you to tailor it to your corporate design with respective colors, fonts, text size and other site elements. It will definitely improve customer experience and let you deliver them better brand value. Wow your B2B consumers with custom web site access and secure personal business accounts. The Boston Consulting Group experts state that only about 15% of companies can be considered true personalization leaders, and most of them are tech companies and digital natives. Don’t forget that eCommerce platform contributes also to your stuff workflow. Personalization helps your employees to optimize operation performance both in back office and front office interactions. Multiple profiles. Personalization in workflow also grants your employees a variety of individual roles within the eCommerce portal with regard to their managerial functions. It helps to filter out irrelevant information and effectively split the workload among different teams. Streamlined ordering process. Unlike common online shoppers, B2B customers do not have much spare time to waste on trudging through awkward procurement systems. Let them place their orders in no time with such functions as multiple shopping carts management, recurring orders scheduling, frequently ordered merchandise and express order tools. Building a single ecosystem. When it comes to B2B eCommerce, integration of all the business systems and processes into the unified environment is the key to maximize your online profit margins. According to eCommerce&B2B Trends, 60% of B2B CEOs consider integrating an eCommerce platform with ERP and Accounting systems to be their paramount technology priority. Indeed, such software solutions as Content, Product Information and Order Management systems, ERP, CRM, Pricing Analytic Engine, to name a few, must be orchestrated to make a complete whole. This integration has many reasons both for you and your customers. It gives you a full insight on data tracking of numerous products and vendors, keeps you informed on inventory and pricing matters, enables to predict future business operations. Customers can track their orders in real time, get to know the estimated delivery time and shopping costs and review their past ordering history. Do not hesitate to contact us and our experts will surely provide you with more information on adapting the right B2B eCommerce solution to meet your online business needs.